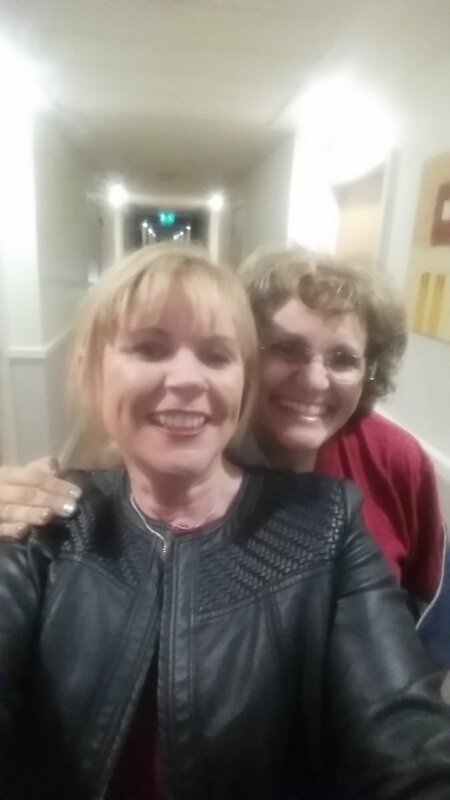 How One Day with the Tweetinggoddess Changed My Tweets! As I shared in my blog last week, Twitter paved the way for my recent trip to Ireland. Consequently, many of my friends have looked to me for Twitter advice. But as I rested in my hotel room in Phoenix, I was about to embark on a personal lesson. Samantha Kelly, aka the Tweetinggoddess was about to give me a whole new perspective on what Twitter is really all about. It started when I got the following message from Sam. "Keep tweeting your journey. Tag me in all tweets"
This is what I learned by spending time in person with the Tweetinggoddess. Please understand. I knew that, and I thought I was doing okay. Tweeting back and forth with Samantha, though, took me to a whole new understanding of Engagement. I took pictures and tweeted every chance I got (long layovers give you lots of leisure time). Afraid I would trip and break my other arm, my husband stopped me several times so I could take pictures standing still! (Note: Don't tweet and walk. Only do one thing at a time!) My rewards came when people I tweeted, liked and retweeted my pictures. By the time I met my "tweeple" at the National Women's Inspire event, folks were excited to see and hear what I had to share. Why? Because I included them through social media in my journey to meet them. Did I say I took pictures? Pictures took on a whole new perspective while I was with Sam. Sharing my breakfasts, capturing the joy of surprise visits, and displaying welcome gifts presented opportunities to tag people and places we were visiting. During our visit to EPIC Ireland, I tweeted and scoped a fair amount. Sharing my journey with my friends on Twitter was actually very fun. As we neared the end of our visit at this interactive Museum, we came up on the exhibit to learn how to dance the River Dance. To my surprise I turned around and Carl Hall the digital media expert for the museum was standing behind me to meet me. What an honor! By taking the time to share this extraordinary Museum on Twitter, I got the opportunity to meet some of the people who helped make it happen. Samantha is good at helping people make connections and getting recognition. By following her lead, I received the same reward she does. New connections. I'll admit it. I am easily impressed. I marveled at the beauty of the Irish Countryside and was grateful when Sam urged me and my family to sit on the seaward side of the train from Rosslare Harbour to Belfast. I didn't realize how much people enjoy peeks into my life as a human being. On that trip I tweeted a lot of my personal journey through Ireland. Sharing my Wonder and Delight made for even more interesting connections my way. 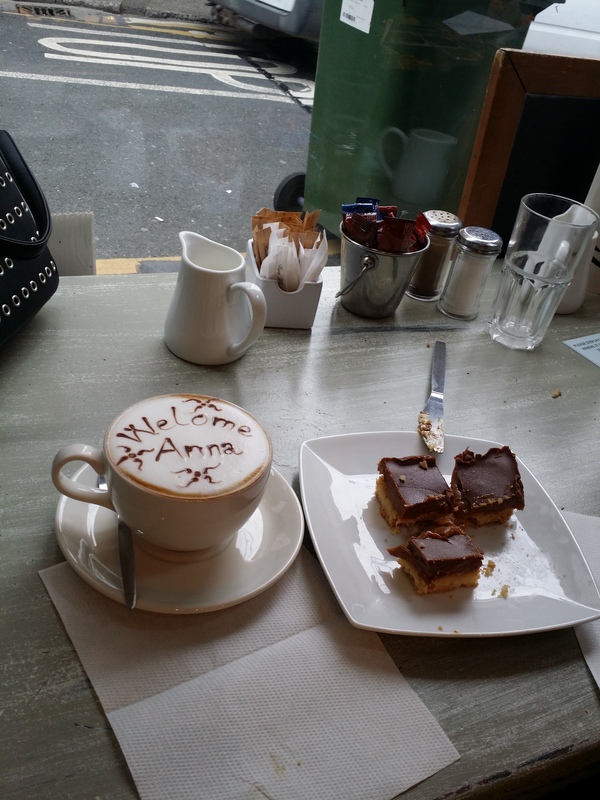 I enjoyed meeting the coffee artist, Stefano, at Cappuccino Wexford. How did I get a cappuccino with my name on it? Sam introduced me to him. Through pictures, tweeting and tagging, I experienced a side of Ireland that I probably would not have experienced otherwise. Twitter is about connections and relationships. Sam, aka the Tweetinggoddess, taught me a deeper level of Engagement that I carry into my daily life. While I may not have Irish ancestors, I do have Irish Roots now. It's how I got to Ireland in the first place. Thank you, Sam!